Let’s face it, times are tough in the Real Estate market right now. With so many Realtors chasing a much smaller pool of home buyers (both first time buyers and move up buyers), agents need every edge to gain more clients, sell more homes, and make more money. This short video tells Real Estate Agents how to stop giving away money to others, and start putting it in their own pocket! Buy New Construction or Existing Homes and Foreclosures? St Paul, MN: New construction is suffering. The lowest NEW housing construction numbers since 1963 when the USA had 120 million LESS people have just been reported. There are many reasons for this, but the fact remains, right now is one of the best times to buy a house, and first time home buyers are missing the boat standing on the sidelines. Builders are fighting back, and we all should be concerned as new construction is a major economic backbone in this country. Thoughts? We’d love to hear from you. Login and post! The Federal Reserve has been busted in a major scandal. St Paul, MN: On April 1, 2011 – sweeping new mortgage broker and mortgage lender changes go into effect which will stifle competition, reduce loan options, extend the housing market recover time, and increase interest rates and closing costs to home owners everywhere. The rules made no sense to anyone, yet the Federal Reserve marches on with a cocky attitude, completely unwilling to listen to trade groups and those in the mortgage business explaining how damaging these new rules will be. NOW WE KNOW WHY! People who previously did studies which produced positive outlooks towards brokers and small lenders NOW WORK FOR THE FEDERAL RESERVE BOARD and magically have a different attitude AND have have their voices silenced – WOW! What are your thoughts? Login and POST! Get the word out – be sure to Share via Twitter, Facebook, Blogger, etc! What is HomeSteps and HomePath? You’ve seen the logo’s, but what is HomePath and HomeSteps? Apply with a lender. Get Pre-Approved. Just qualify for a traditional financing with at least 3% down. Where can I see the list of available houses? Easy. Contact a Real Estate Agent, and they’ll show you a list of qualified HomePath and HomeStep properties. Closing costs can be rolled into the transaction, up to 6% of the loan amount. It all starts with a no obligation application, and a visit to a special lender offering the programs. Buying a home in MN or WI? Click here for a HomePath, HomeSteps lender in MN and WI, or call (651) 705-6261, where one of their specially trained Loan Officers will assist you. NAMB fights to preserve and protect the mortgage broker and prevent limiting credit opportunities to consumers. Read the press release here. You can access a copy of the complaint here. A letter of support co-authored by Senators David Vitter from Louisiana and Jon Tester from Montana was sent today, March, 11, 2011 to Ben S. Bernanke, Chairman of the Board of Governors of the Federal Reserve Board, requesting a delay in the implementation of the Fed’s loan originator compensation rules. You can access the letter here. To read the Federal Reserve’s filed response #1 click here. To read the Federal Reserve’s filed response #2 click here. It is a great time to be a first time home buyer, but some of the rules have changed. Mortgage interest rates in MN are still amazing, and home prices are super affordable. New mortgage lender and broker rules are making it a little harder to qualify for a home loan, and your costs are going up a little, but don’t let that hold you back. First time home buyers, it’s safe to come out now! Minneapolis, MN: As we enter the traditional spring home buying market, many people are trying to decide if owning a home is better than renting. Renting may be preferable for some folks… but there’s a reason 68% of Americans choose home ownership over rent. Home Affordability is at an all time high. 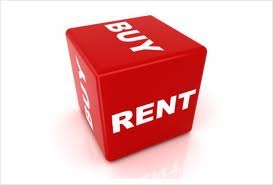 Use this online “Rent vs Buy” calculator – it’s Free! CONSUMERS to PAY MORE for Home Loans! David Stevens, the Commissioner of FHA (Federal Housing Administration) will be named the next chief executive of the Mortgage Bankers Association. St Paul, MN: The Home Affordable Refinance Program was set to expire this June 30th, but has been extended one year until June 2012. The extension is great news, as HARP has been about the only success story of all the government programs attempting to stem the tide of foreclosures. Basically if your existing first mortgage is held by Fannie Mae, or Freddie Mac, and that first mortgage is LESS than 125% of today’s value, you may qualify and be able to take advantage of today’s low rates for refinancing. To bring even more meat to the grill, Freddie Mac has also announced they WILL NOT add recently announce cost (rate) increases to this program. The rule, set to start April 1, 2011 dramatically changes and overburdens the mortgage lending world, which could inflict harm to small business mortgage brokers, their loan officers and their entire staff. Two lawsuits were also filed this week asking for injunctions against the Federal Reserve over the rule. One by NAMB (the Nation Association of Mortgage Brokers), and the other by NAIHP (National Association of Independent Housing Professionals). The Federal Reserve Board filed a Motion in U.S. District Court to consolidate lawsuits filed against them by the National Association of Independent Housing Professionals (NAIHP) and the National Association of Mortgage Brokers (NAMB). This move was predictable by the Fed, according to Marc Savitt, NAIHP President. The only reason NAMB was originally assigned a separate Judge, was because their legal counsel failed to acknowledge another related case (NAIHP), had previously been filed. NAIHP has always believed a united front, would enable the industry to prevail in this matter. Savitt indicated he is looking forward to working with NAMB to achieve success for consumers and the mortgage and housing industry, while NAMB’s attitude appears to be very negative towards NAIHP? I’ve read both lawsuits. I’m no big shot lawyer. In my humble opinion, I like the NAIHP suit a LOT better? Joe and Eric Metzler talk about why you should refinance today. Mortgage Interest Rates are set to go up soon for many reasons. Fannie Mae and Freddie Mac are both increasing the wholesale costs of mortgage loans, the economy may be improving, and home values may continue to fall slightly, all items that will effect your mortgage interest rates. Searching rates on home loans, or rates for refinancing your mortgage in MN or WI? We have some of the best rates on home loans! NAMB, the National Association of Mortgage Brokers today filed the second lawsuit this week against Federal Reserve Board over the new Lender Compensation rules set to begin April 1, 2011. NAMB’s lawsuit seeks to obtain a temporary restraining order, and is using different arguments than the lawsuit filed by NAIHP on March 7th.